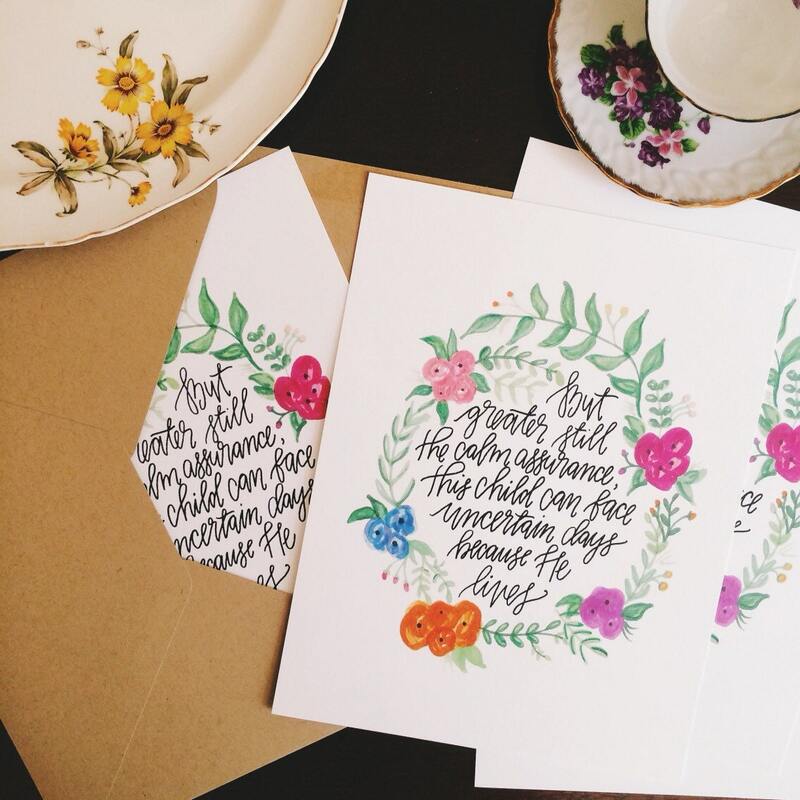 Featuring lyrics from the classic hymn, Because He lives by Gloria and William Gaither, this print of my original watercolor design is the perfect sentiment for a baptism gift and would make a beautiful addition to any nursery decor. 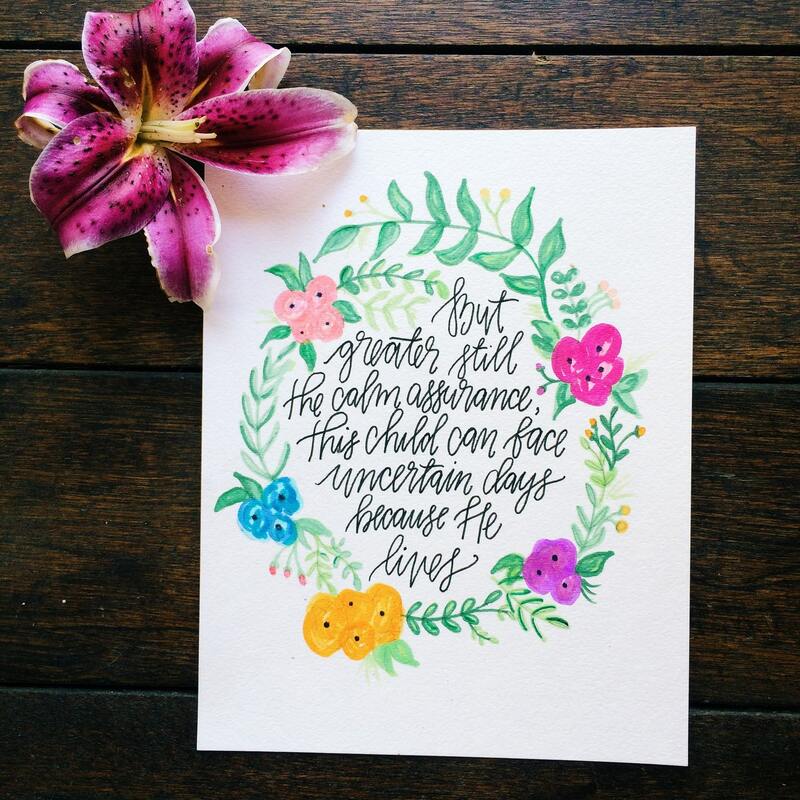 This piece was professionally scanned and printed at my local print shop to ensure the highest quality, and it would also make the perfect baby shower gift or new mom gift! Would look beautiful in any Christian home!